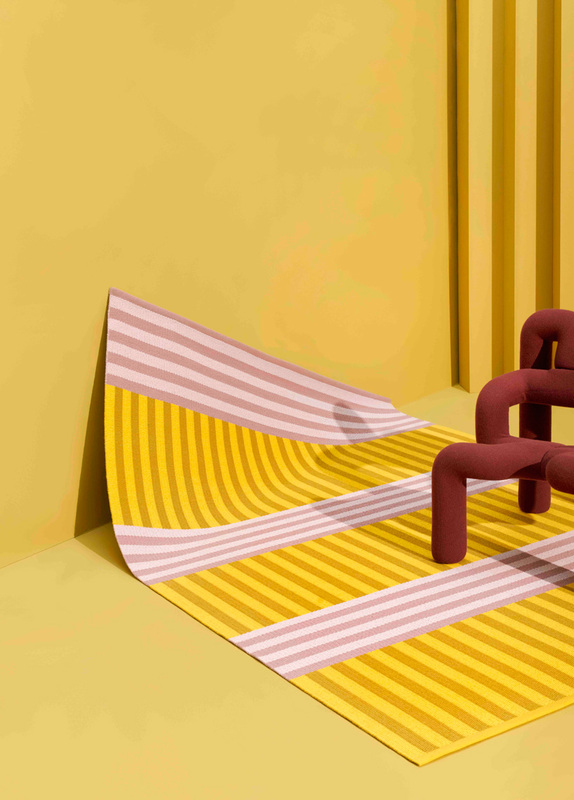 during this year’s stockholm design week, kasthall and sight unseen have joined forces to launch their new ambitious collaboration of two expressive rug designs. 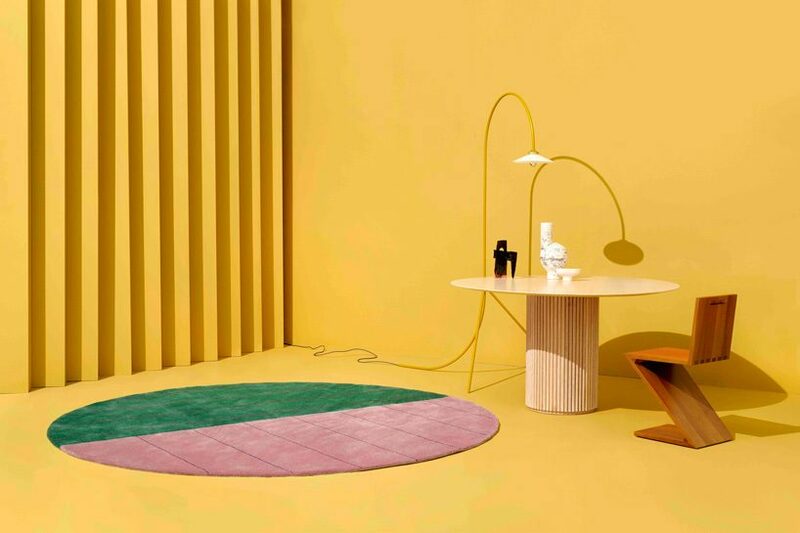 the new york-based creative design duo has utilized the swedish rug & textile company’s designer tool to create the two designs, resulting in one circular hand-tufted carpet in pink and green, and a rectangular hand-woven one in pink and yellow. 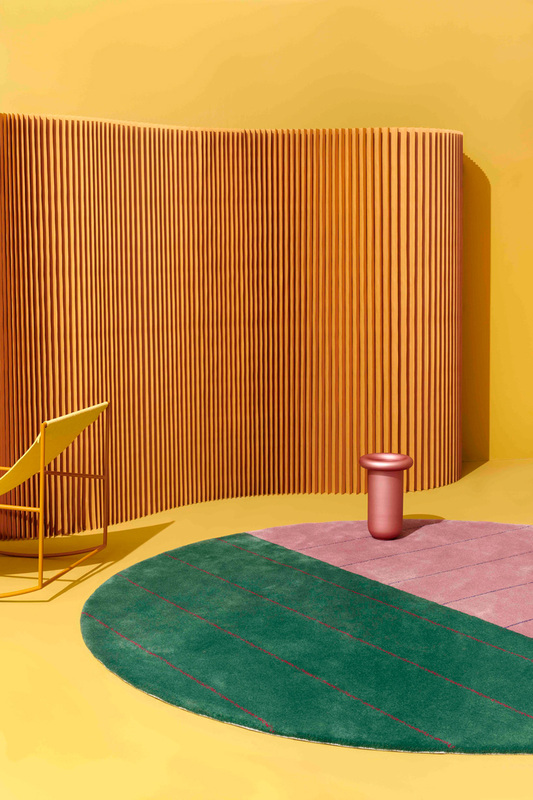 kasthall has developed the rug designer tool to facilitate custom products for architects and interior designers, offering two different styles of rugs, one hand-tufted and one hand-woven available in 116 colors either in solid color blocks or with geometric patterns. 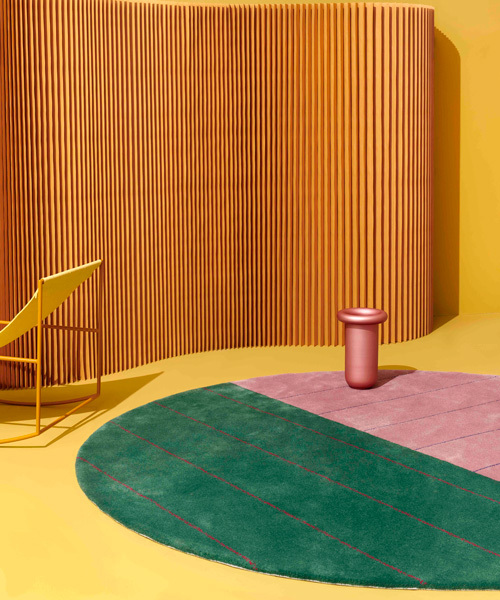 the company’s collaboration with sight unseen illustrates the vast possibilities of the tool and how it can help stylists and interior designers by creating two expressive rugs using only the online tool. 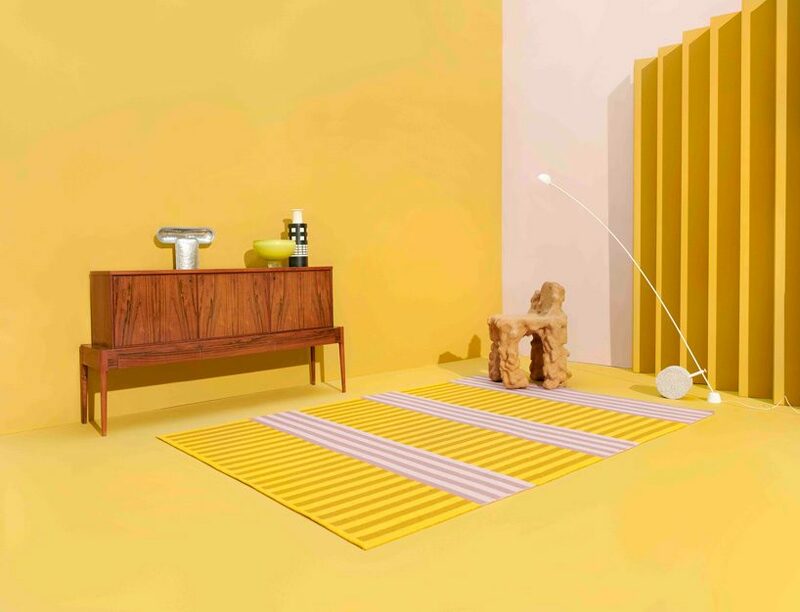 the striped rugs also draw from the clean lines of scandinavian design language, using he energetic color palette that sight unseen is often associated with. the same one hundred percent wool yarn quality from new zealand is used for the hand-tufted rug mark as for the hand-woven rugs häggå and arkad, making it easy to match different rugs in larger projects. what’s more, mark can be hand-tufted in any size or shape, making it highly versatile.